Crystal Dynamics continues to announce pre-order incentives for the upcoming Tomb Raider, set for worldwide release on March 5th, 2013. From today European consumers will be able to put money down to secure their copies of the game packaged in two major variations; the "Survival" Edition or the Collector's Edition, the latter of which includes a Lara Croft figurine and all the contents of the "Survival" Edition. Announcements for other regions are scheduled. 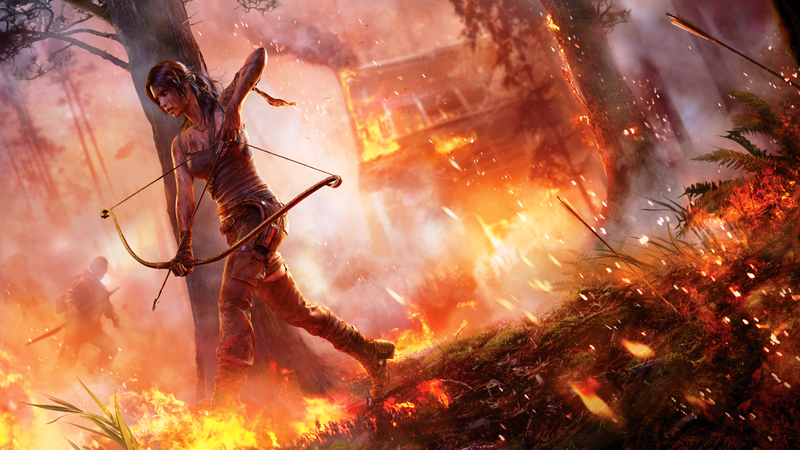 Amongst an art-book, physical map and survival pouch, the bundles will also include as digital content a downloadable weapon pack and an acquisition code for Tomb Raider's "atmospheric" soundtrack. The particulates of the music release are yet to be announced, as is the speculated composer Jason Graves, and it is unclear if the release will be identical in content to an anticipated standalone commercial album. Tomb Raider soundtracks have been released under enclosure before - the Tomb Raider: Angel of Darkness Collector's Edition, Tomb Raider: Anniversary Collector's Edition and Tomb Raider: Underworld Limited Edition have all included soundtrack samplers from each game. Four soundtrack albums from the two Lara Croft: Tomb Raider films starring Angelina Jolie have also been sold. If the music to Tomb Raider (2013) is marketed as its own industrial commodity it will mark the first such release in over 15 years of the video game franchise. At the very least, fans will be happy to get their hands on an official body of music from the ninth pillar instalment of the Tomb Raider series, a reboot that reconstructs the origins of pop-culturally relevant heroine, Lara Croft.